Three generations of Chrysler's Town & Country minivans have depended on the basic goodness of the minivan design itself to carry the day. Most of the differences from other versions are limited to high-end features and slightly different styling. Chrysler announced at the 2016 North American International Auto Show that it would replace the long-running Town & Country nameplate with Pacifica. Chrysler once used the Pacifica for a mid-size crossover it produced from 2003-2007. The T&C carries over to the 2016 model year largely unchanged. 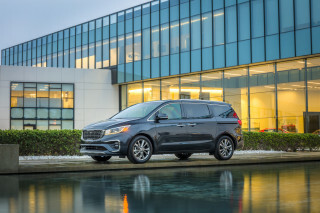 Rivals for the Town & Country are the Honday Odyssey, Nissan Quest, Toyota Sienna, and the recently revamped 2015 Kia Sedona. 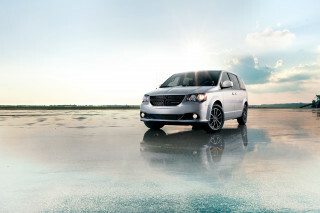 The T&C's corporate sibling, the Dodge Grand Caravan is also a direct competitor. Although Chrysler offered its first minivans in the 1980s under the Dodge and Plymouth brands, the first Town & Country didn't arrive until the 1990 model year. It was a lightly revised version of the first K-car-based vans from the sister marques, with more luxurious appointments. There was still just one sliding door at that time, located on the right, but the T&C boasted leather upholstery, a choice of V-6 engines mated to a 4-speed automatic, and the iconic wood-look side paneling. The K-car chassis was revamped for the 1991-1995 Chrysler minivan. The Town & Country continued in the lineup, as a long-wheelbase-only minivan loaded with features and offering few options above and beyond. The powertrains were upsized V-6 engines and 4-speed automatic transmissions that gained a poor reputation for reliability. All-wheel drive became an option during the 1992 model year; driver and front-passenger airbags were fitted during this generation. From 1996 to 2000, the Chrysler Town & Country adopted a much sleeker look. 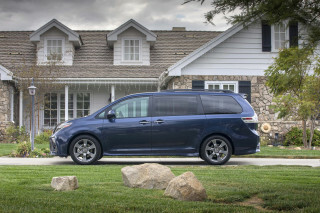 This third-generation minivan attracted new competition from Ford's Windstar, and from the Honda Odyssey and Toyota Sienna—but innovations like a second driver-side sliding door, roll-out seats, and an optional rear-seat entertainment system kept it ahead of its competition. A short-wheelbase edition found a few buyers; V-6 engines and a 4-speed automatic continued in front- and all-wheel-drive versions. Chrysler brought out a revamped Town & Country for 2001, with this fourth generation ending in 2007. 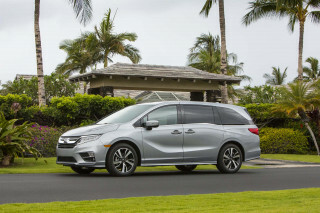 The brand also added a less expensive Voyager model to its minivan roster, with that name and placement adopted in the wake of Plymouth's closure. From 2001 to 2003, the Voyager would be the short-wheelbase Chrysler minivan, and the Town & Country the long-wheelbase version; the Voyager went away in 2003, when Chrysler resumed offering short- and long-wheelbase Town & Country vans. Chrysler likes to remind everyone that it invented the minivan, and it has done a good job of improving interior packaging over the years since. For 2005, the company added the Stow 'N Go seating option. This setup allows the second- and third-row seats to fold flat into the floor, removing the need to, well, remove the seats when more space is needed. The reworked floorpan allowed for the birth of the Chrysler Pacifica using the same architecture, but it also killed the previously available all-wheel-drive van, since there was no longer room underneath to route a driveshaft. 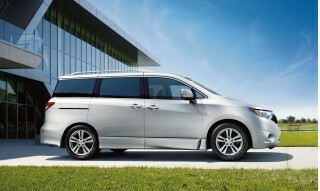 For the current generation, Chrysler has given the Town & Country an angular theme that looks less upscale than before. From 2008 to 2010, the styling fell far short inside, where plasticky dash trim covered almost every surface that wasn't upholstered. The engines were uprated again, with a choice of a base 3.3-liter V-6, a 3.8-liter V-6, and a 4.0-liter V-6 that actually earned the best fuel economy ratings of the three. To maintain its class-leading features list, Chrysler added in-car satellite TV, a folding in-car table, swiveling seats, and new entertainment systems. For the 2011 model year, the Town & Country received a mid-cycle makeover that included a new interior with much more acceptable interior trim, a new drivetrain featuring a perky 3.6-liter V-6 with 283 horsepower, a mostly smooth-shifting 6-speed automatic, and a tuned suspension that delivered a slightly bouncy ride but good highway stability. The features list in this edition now included satellite radio, blind-spot monitors, a rearview camera, a navigation system, and streaming satellite-based BackSeat TV, which later was dropped. 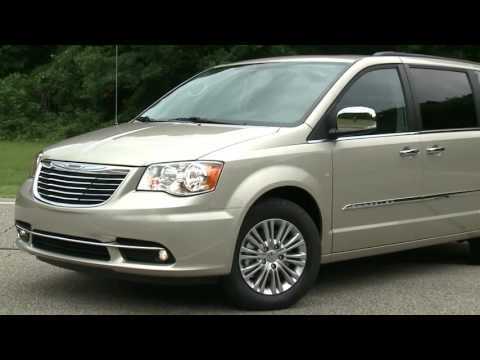 In 2012, Chrysler left the minivan largely unchanged, but more recently, the 2013 Town & Country was upgraded to standard leather seats, while a Blu-ray video player with twin screens was made optional for the rear two rows of seats. 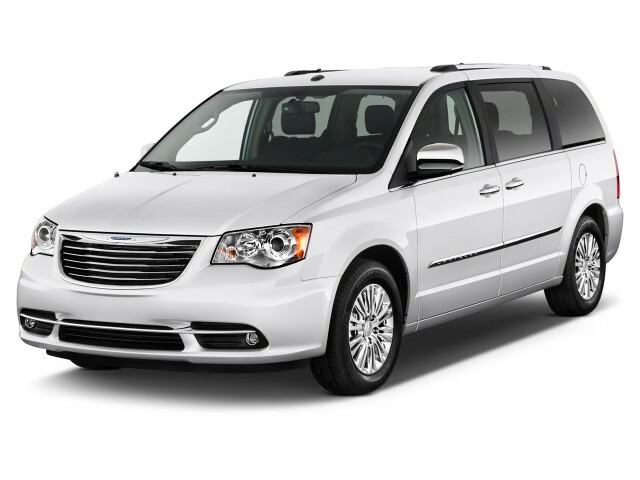 Also for 2013, Chrysler revealed a Town & Country S model, with a blacked-out scheme inside and out, plus new piano black trims inside, as well as the otherwise optional Blu-ray entertainment system. The Volkswagen Routan was essentially a restyled version of the Town & Country, although without the Chrysler's top seating and entertainment options. It was built alongside the Chrysler models in Canada and went out of production after the 2012 model year. For 2015, Chrysler has added two new models to the T&C lineup. The LX sits at the low end as a new entry model, bundling the most popular features like leather and a rearview camera for a base price of under $30,000. At the other end of the spectrum, the new Limited Platinum model includes just about everything that would be otherwise optional on a Limited model, including the SafetyTec package and rear Blu-ray entertainment. The Chrysler Pacifica was announced in 2017 and it will likely be the only minvan offered by Fiat Chrysler Automobiles for the foreseeable future. The Dodge brand is expected to lose its van, according to current plans, but the Grand Caravan name could be applied to a new crossover vehicle. Recent comments from FCA CEO Sergio Marchionne suggest there will be additional variants of the van, with the base model retaining the Town & Country name. Chrysler showed a very futuristic minivan concept at the 2012 Detroit auto show; the 700C concept retained the classic minivan sliding doors but made a lot of changes to the shape; its interior was a hint of what the Pacifica's interior turned out to be later.